Writing is cathartic for me… one of the reasons I like having a blog. I am a very visual person but hands on too, so blogs are a great outlet for me to organize information I have come across but also just to put some of my thoughts down on “paper” so to speak. 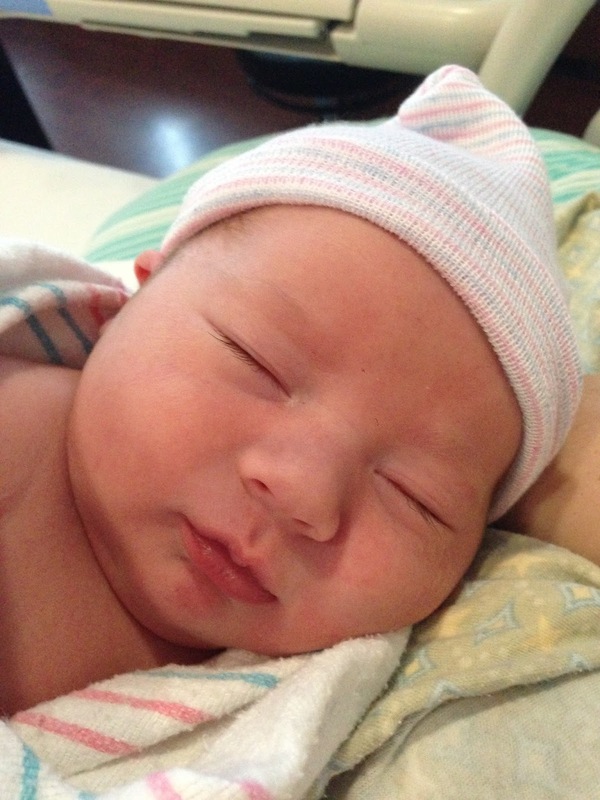 As I was nearing the end of my second pregnancy, it occurred to me that maybe I should write about my first son’s birth story. For a long time I didn’t like thinking about his birth, but it consumed me. That probably doesn’t make sense… I didn’t like that it consumed me, but I relived that day on June 27 every day for a good year. I couldn’t get it out of my head, just trying to figure out why it happened the way it did and what we could have done to have a different outcome. 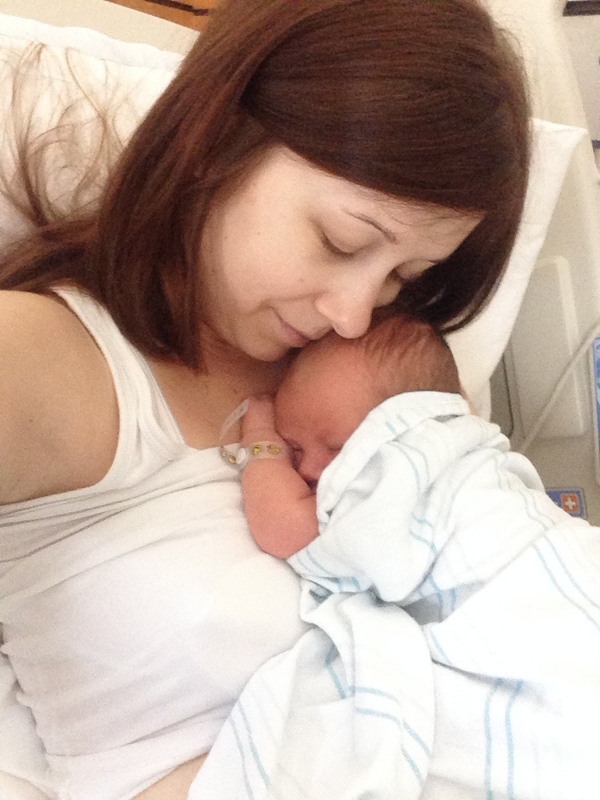 I wasn’t happy with the way his birth went, and it made for a rough start with us. I felt wronged, I felt like people didn’t listen to me and just did what they thought was best to my body… I can’t tell you how debilitating that can be… It has taken me a long time to get past some of the things that happened, and I am thankful for my second pregnancy because I feel like it has given me hope and the ability to be thankful for my experiences with Jackson. I am a firm believer that every experience that God places in your life is to bring you closer to Him. 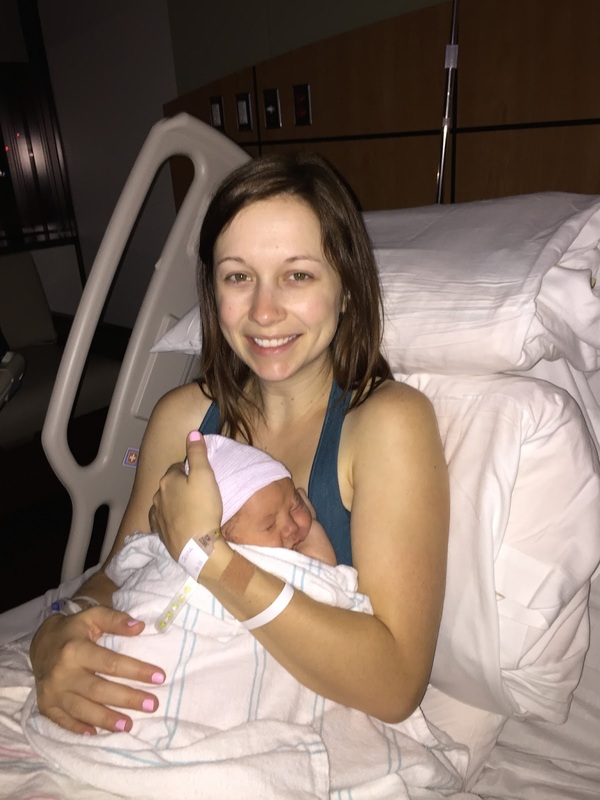 I wrote a blog post recently called, “Not Why Me, but What For?”, and honestly it is the answer to my question… why did his birth happen the way it did. I depend on God much more than I used to, I talk to Him much more than I did before I had Jackson, because when you can’t control something, and there isn’t really anything you can do to make something better, the obvious answer is to give it to God and let Him work it out in your heart and soul. There are a lot of people out there that have had more devastating outcomes to their births than we did, or even lost their sweet babies in the process. They have had many more problems, they have experienced more heartache, but each person’s trials are different and unique to that individual. 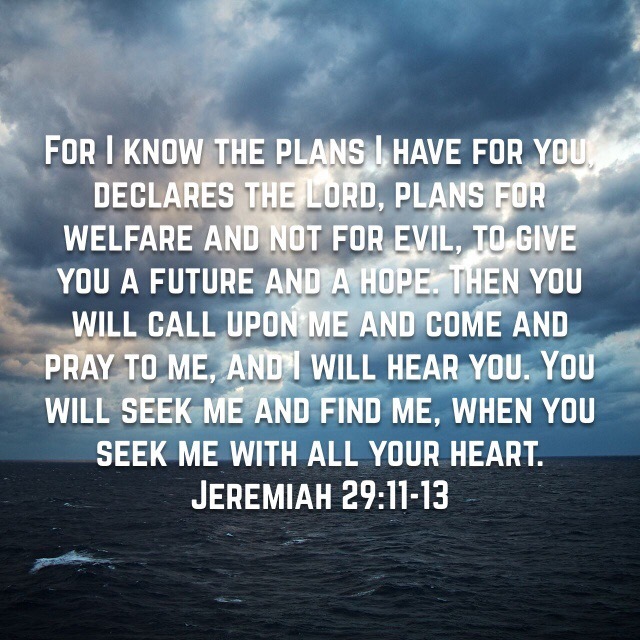 God knows what we can handle, He provides a solace and will carry our burdens if we give them over to Him. One thing I heard over and over after Jackson’s birth was, “Well at least the baby is healthy and at least you are healthy.” Yes. We are thankful for this. We are very very thankful for this. But shouldn’t something be said about how the mother is treated as well during her birth experience? Shouldn’t her wishes and emotional experiences be acknowledged? I believe that your experiences in birth give you a beginning to being a mother and starting a new relationship with your baby, and it is hard sometimes to have a good start to that relationship when you had hard things happen to you to bring that relationship about. Hehe, you are probably wondering, well when is she going to talk about that birth and when are we going to read something happy? Well here is comes. My husband and I got pregnant my fifth year of teaching 8th grade science. We weren’t really trying to get pregnant, but he had convinced me that it was time to cut out the birth control (which I will never take again by the way haha that stuff made me crazy!) and just see what might happen. 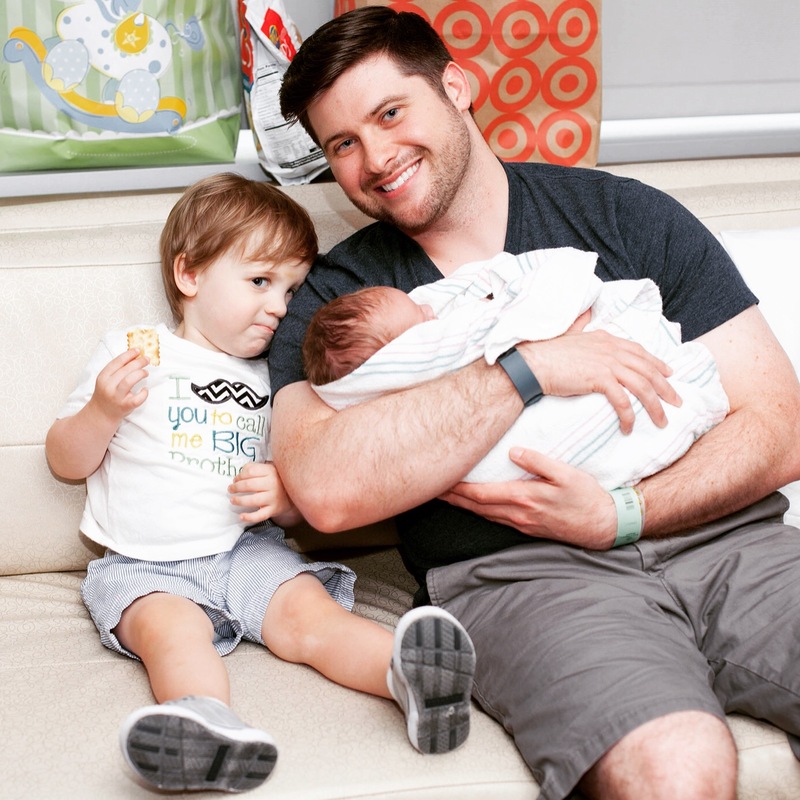 He was working a ton, being an auditor for Ernst and Young, so really we were only seeing each other on the weekends and when we got ready in the morning, so we were shocked to find out that I was pregnant in October. I called it the immaculate conception haha… I had a great pregnancy for the most part, just normal uncomfortable issues, but nothing major. It was super hard working all day to the end, but I was determined to finish out my last year at Clear Lake Intermediate because I had so many people I love dearly there that I truly hated to leave! School was out June 7 or around there so I had about three weeks at home to get all of the last minute things done for Jackson’s nursery, groom the dog, clean the house, get a pedicure, cut my hair… hehe you know how that stuff goes. We were getting closer and closer to my due date, and wondering if I would go into labor on my own or not… you never know how those first pregnancies will go! And then one night I had some contractions that started coming pretty consistently and were decently strong. So we called our doctor and they said we could go ahead and come into the hospital and see what was going on, and being first time parents we were eager to do so haha! I had contractions for a few hours but then they tapered off and just stopped, which is so disappointing when you just want to see your little one! But a few days later they started again and this time were stronger and didn’t stop. Around 3 a.m. on June 27, contractions woke me up but I just kept resting between them and trying to sleep as much as I could. After about 4 hours, the intensity picked up and I no longer could lay down during them. I had to get up an walk around and then rest in between. Jacob woke up to get ready for work but I told him I was having contractions and he wasn’t going to work today haha… we started timing them and getting things ready to go to the hospital. I took a shower and ate some snacks. We were both nervous and unsure about how long to wait. I called the doctor and because my contractions were coming consistently 3 minutes apart, and we had a 40 minute drive to the hospital, they suggested to go ahead and come in. Once we got there, they checked me and I was only 2 cm, but the effacement was progressing, so they admitted us. Not long after they came in to talk to me about an epidural and whether or not I wanted one. My contractions weren’t horrible, but I figured I would go ahead and get an epidural because I was scared of what the pain would eventually be like. I was also thinking that he may be busy later when I really wanted it, so we went ahead and did the epidural. Now that I look back on it, I did this way too soon, and probably came to the hospital way too soon as well. The hours crept by, my doctor broke my water around 5 cm (something else I wish we wouldn’t have done! ), and at some point during the day I was basically asleep, completely out of it. Another nurse came in to check on the epidural at some point and again wouldn’t do anything about. Thank goodness we had a labor and delivery nurse shift change because the new nurse saw my condition and got my doctor back in the room. She immediately got the head of the anesthesiology department on the phone and in my room and finally… finally… they turned off that stupid epidural. So at this point, it was probably 8-9 p.m. at night, once they turned the epidural off and I came out of the “coma” or stupor they put me in. Throughout the whole day I was sick off and on from them giving me something to speed up and slow down my contractions depending on how the baby was doing, and at this point I was spent and exhausted. I had fully dilated, so my doctor let me do some pushing. I pushed a few times, she could see his head coming down and commented that I was a “good pusher,” but because he was face up, she felt like I wouldn’t be able to push him out. When I look back, I wish I would have tried longer to see, but I was done at that point. Sick, frustrated and done, I just wanted to see my baby. So here we go back to the O.R. for a c-section. 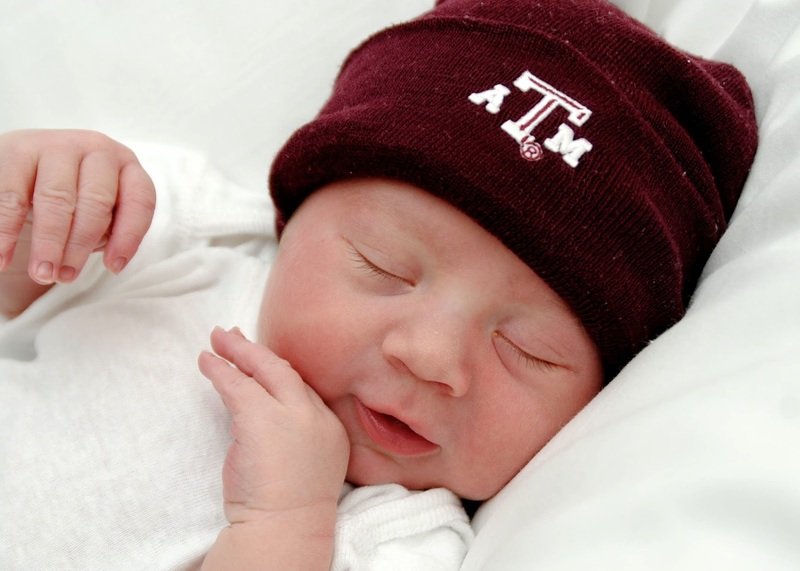 At 10:47 p.m. on June 27, 2013, Jackson Barney Campbell made his entrance into the world. He was 8 lb. 5 oz. and 20 inches long. It wasn’t the birth I had in mind, but I was happy that he was safe and healthy, and I loved that he shared my Great Grandmother’s birthday. What makes me sad about his entrance, was that I didn’t even hold him. I don’t know why, I think I was just so out of it that I just didn’t even register that I needed to hold him right then. They cleaned him up, and rolled him out to the waiting room where my family saw him and took tons of pictures, and then he met me in recovery, where I finally had some quiet alone time with him. We did our normal stay in the hospital, and I am so thankful for my sweet hubby who stood by my side through all of this, changing every diaper and handing me the baby, helping me out of bed, the list goes on. My story doesn’t quite end there though, because at my two week check up my blood pressure was high. Like really high. Like they were afraid I was going to have a stroke high. So back into the hospital we go, with some postpartum preeclampsia for dessert. I stayed overnight, got the magnesium sulfate (which that stuff is so yucky!) and some meds to try and keep my blood pressure down. We were released to go home, only to have my blood pressure creeping up the next day. The medication they prescribed was not working, so back to the E.R. we go. We were there most of the night, with our new born, while they gave me different medications and waited to see what happened. Finally they found something that worked, and again we were released to go home around 3 a.m. I will be honest, the weeks following were so hard, I was exhausted, sad about my birth, and felt like I could pass out when I would stand up or take a shower. I didn’t feel comfortable staying at home by myself with my newborn. My Mom came back and stayed with me, my mother in law came over a lot, I had a lot of support and help, which I was so thankful for. But as the weeks and months went on, more challenges with breastfeeding perpetuated because Jackson had a slight tongue tie (Yay for lactation consultants!) and challenges with sleep issues plagued us for months, making it impossible for me to emotionally heal from everything for a good 10 months. I had so much insomnia and anxiety, and all I wanted more than anything was for it to go away and just be able to relax. I would mentally tell myself to “just relax,” but my body would not listen! I am so thankful for all of the friends and family that supported me throughout this time, because it was truly the hardest year of my life, and I feel like so much joy was taken from this new exciting time with my sweet son because of my experiences and my difficulties coping with them. I say all of this so that you can understand why we made different choices for our second birth. I knew this time I wanted things to be better. I wanted a better start. I wanted a better birth. 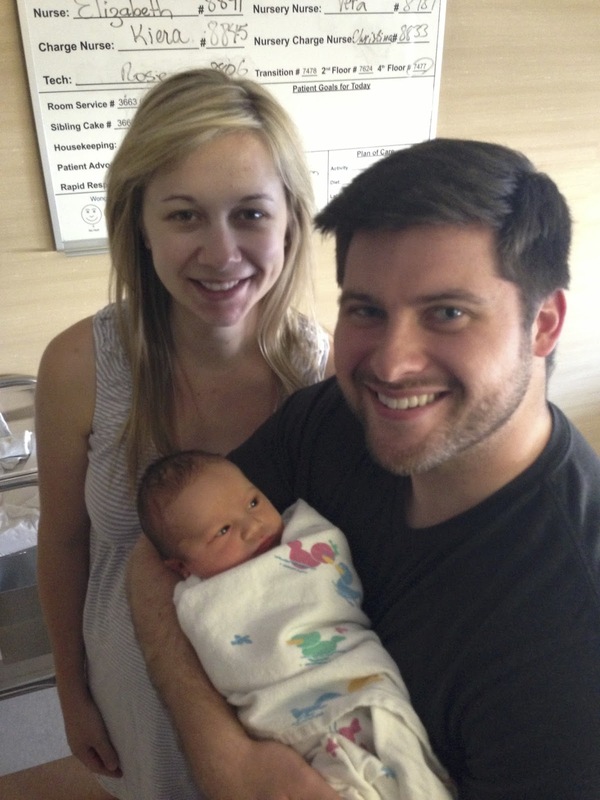 We went back to the doctor who delivered Jackson for my first couple of appointments. We talked to the nurse practitioner for the very first ultra sound and at the second visit met with my doctor. She was absolutely sure, that we would have another “big baby” and that there was no way I would be able to have a vaginal birth. She said my pelvis was too small, and the reason he was face up was so he could try to fit through. She told me a VBAC (Vaginal Birth After Cesarean) would be risky, that I would be putting my baby’s life and my life at risk, despite the fact that repeat c-setions have more risk associated with them than a VBAC does. I couldn’t accept this. In my heart, I just felt like this all wasn’t true. I knew the reason Jackson was face up was because I spent so many hours on my back. We asked for a reference for a doctor who supported VBAC deliveries and started praying… a lot. God led us to Dr. Lindsey Longerot at Texas Children’s Women’s Pavilion. The first day we met with her, I asked God for a sign… I’m being serious, I said, “God, I’m going to be like Gideon today. I don’t want to do anything out of alignment of Your will, and we want to make the best and safest decision for our family. Please show me that what we are doing is what You want for us.” They called my name to go back, and wouldn’t you know that it was the same nurse that worked for my other doctor. She had quit her job there for personal reasons and got a new job here with Dr. Longerot. I just found that so interesting that the nurse who took care of us the whole time with Jackson in office would be the one to help us with this birth too. We met with Dr. Longerot and loved her immediately. She put me at ease, and after hearing our story and reading the report from my first doctor, she looked me in the eye and told me, “Jenna, I think you would have a good chance at having a successful VBAC.” We continued to pray, asking God for guidance and help in making the decision. We did lots of research and started talking to people who had experience with VBACs. We knew that if we made some different decisions this time, get educated and get help, prepare as much as possible, that our outcome could possibly be different. We came to the conclusion that we would pursue this, and just do the best that we could. I knew at least that I could not go back to that same hospital where Jackson was born, and I needed a fresh start. This was a hard decision to make. The hardest of my life. I have never prayed as much as I did for this baby, for this birth and our family. It was on my mind every single day until I had him. It was not an easy road to take, because there were people who thought we made a bad decision, who didn’t understand why we were doing this. Randomly, of course, I had gestational diabetes, so the concern of the baby being too big was again on the table. I felt like anything and everything Satan could do to have me doubt my faith in God was happening. There were so many days when I had doubt and worried, but I just kept saying to myself that God can do this. I can have a 10 lb. baby if He wants me to! My pregnancy continued on, with hardly any other issues. Because of the diet I was on for the gestational diabetes, my weight gain slowed and I had little to no swelling, even at the very end. I went for my 37 week checkup, and of course my fundal height was still measuring 4 weeks ahead, so we kind of laughed about that at this point, but when she checked me she looked shocked and said, “You are already 3 cm!! !” We couldn’t believe it! She smiled and told me again she thought this would happen for us! But then she told me that she was going out of town for a conference! Ahh! No! I had some contractions that week and thought he might be coming soon but then they stopped. I was like ok, what is going on?! I think our baby boy was waiting for her to come back! The next weekend, I started having contractions on Saturday, May 9. They were 6-7 minutes apart and continued throughout the night. I was able to sleep and knew I needed to rest. We had hired a doula for this pregnancy, because we wanted someone with us who was experienced and could help with my labor. She had had a VBAC herself, and was so incredibly knowledgeable, so we knew she would be a huge asset to our success and safety. I texted her and told her it might be soon. Sunday, May 10, on Mother’s Day, we woke up and decided to stay home from church, mainly because I knew I couldn’t sit for that long and I had no idea what was going to happen! Contractions continued, and when Jackson woke from his afternoon nap, I called my mother in law to come get him. I was having trouble focusing, and all he wanted to do was sit in my lap haha… I continued crawling around on the floor and doing all of those fun labor positions, trying to encourage him to get into the right position, and once Jackson left, I relaxed and things got real. I called Lourdes and said I need you to come over, but she said, “mmm, from the sound of your voice, I think we need to go to the hospital!” We had a 35-40 minute drive so I was ok with this. We were in triage for two hours at Texas Children’s Women’s Pavilion, monitoring contractions. By the end of the two hours, I was almost fully effaced and almost at 4 cm, so they decided to admit me. I had to walk to my labor and delivery room, contractions were coming harder and there was no way I could sit. On the way to my room, I went through a transition, and I could tell that things were changing. Once we got into labor and delivery, they hooked me up to the monitoring system. Because I was trying for a VBAC, we couldn’t do intermittent monitoring, but they did have a wireless system and that was nice. We continued to labor, I mainly took every contraction leaning over the bed with Jacob or Lourdes applying counter pressure to my back. Lourdes kept reminding me to relax my face and shoulders, and say, “yes” during every contraction, and of course making the “ghost” sound that Julia recommended hehe. The anesthesiologist came in at one point, and asked if I wanted an epidural. At that point, I hadn’t ruled it out because I just wanted to have a vaginal birth, but when he told us that I could have the same reaction as last time, and that they wouldn’t adjust the dosage or turn it off later, I said no and bye. I did not come this far to have a repeat experience. We got in the bathtub after this, and my contractions really picked up, and thank goodness for Lourdes because I was in pain and hating it, but she just kept telling me to relax and thinking about the contractions bringing me closer to my baby. I kept telling myself that God gave me the ability to do this, the strength to get through it. This was His design for it to feel this way and for us as women to experience this. I might have scolded Eve and strongly dislike her too haha, but I kept reminding myself that even though this was lasting for hours, it would be a short time in the big picture of things. My contractions were about a minute apart and super consistent, I got out of the bath tub and was so sick! The nurse and doctor checked me, even though I didn’t want them to and I was at a 9.5 cm! I was shocked! My water still hadn’t broken, and I felt like this was such a blessing, because it helped Jude get into position and also kept off some of the pressure. A few contractions later, my water broke and I felt the most intense pressure from the baby pushing down. This was the only moment that I screamed haha! I rolled over to my side to slow things down, (Thank you Julia for that reminder!) and Lourdes ran out of the room to get the doctors yelling, “she’s ready to push!” I was yelling for Lourdes to come back because I had no idea what to do next! They got things set up and the resident doctor sat with us and helped us start pushing, giving me advice and helping with the counting. After a little while his head started to really descend, and they started giving me oxygen to help him and myself. The resident doctor, Kristin, kept telling me over and over how good I was doing, and we just kept pushing and pushing. She asked if I wanted to feel his head at one point and that was the most bizarre thing, but it really made me feel like we were almost done. I could feel the ring of fire that people talk about, finally got to those last couple of pushes after about an hour and Kristin said, “Ok he’s almost here, one more!!! !” and then his head was out, and after another push his shoulders were out! I will never forget how my stomach collapsed, and then looking up to see my sweet baby, it was just so surreal! Jacob cut the cord, which I am still so impressed about haha, because if you know him at all, you know he does not like blood! And then in seconds, Jude Theodore Campbell was placed into my arms. I just kept looking at him and in complete awe that God did this for us, and kept looking at Jacob saying, “We did it! Thank God!” I felt like Leah in Genesis 29:35 when she had Judah, and said,” Now I will praise the Lord!” I love how Jude’s name means Praise, because that is what we were immediately doing when we had him! I turned to Lourdes and again just said, “Lourdes, we did it, we had our VBAC!” I cannot describe the complete elation and joy I experienced that Monday morning, holding my sweet baby boy, who was so incredibly alert. He just kept staring into my eyes, I could not take him in enough. Finally… finally, I felt the resolution I had been searching and praying for, for so long. God had a plan for us. I kept begging God to please give us those plans of hope and peace, for a future of good things. I lost about a liter of blood that day, and in the following days had two blood transfusions. We had a longer hospital stay that expected, which was hard not being able to go home and see my toddler, but even now I can say I am thankful for my experiences. I feel like God was showing me that If I have faith, He will do it. He hears the desires of my heart and wants to give us good things, but He doesn’t want me to forget about Him. He doesn’t want me to become too proud and not give acknowledgement to Him. That week I kept praying for my health to improve, so that I could go home and take care of my little family. And He did that for us. He did so much more than that. I have learned so much through my births and having my children. So much about God and how He loves us. I have learned so much more how to depend on Him and go to Him for help. I love Him for placing those hard things in my life, and I love Him for placing those amazing and wonderful things in my life as well. Blessed be His name. Don’t ever think that you can’t do something you want to do. If it is in God’s will, He will do it. Jude was 8 lb. 9 oz. that day, 4 oz bigger than Jackson. I will never forget when Lourdes opened the blanket he was in on my chest and said, “Jenna, look at him, he’s huge! How much do you think he weighs?” I had my “big” baby that my first doctor said I couldn’t have. I had the birth that many people said that I couldn’t have. I put to rest those doubts and fears, and now I won’t have to wonder for years to come “if” I could have had this kind of birth too. I am so thankful this worked out for us, because I know that’s not the case for everyone who goes this route. Jude’s name has a number of meanings, but one of them is “Builder.” I feel like God has built up my life in so many ways, built up my faith, rebuilt my hurting heart and built a future of confidence and hope through Jude. I always want to remember this birth. I think about it a lot, reliving it, because I am afraid if I don’t that I will forget it and the details of that day. It is interesting for me just to think about how incredibly different my two births were. Like on the opposite ends of the spectrum! I love each of my stories though, and I love what these experiences have brought to my life and my husband’s life. I am so thankful and so gracious for what God has given me, and I am living every day trying to make the best of it. He has placed in my care two precious little souls, and I pray each day that I can teach and show them how God can take care of them and how much He loves them and wants to give them good things in their life, how He hears the desires of their hearts. I like to start a lot of my posts off by saying that, “I am no expert!” because I am not! 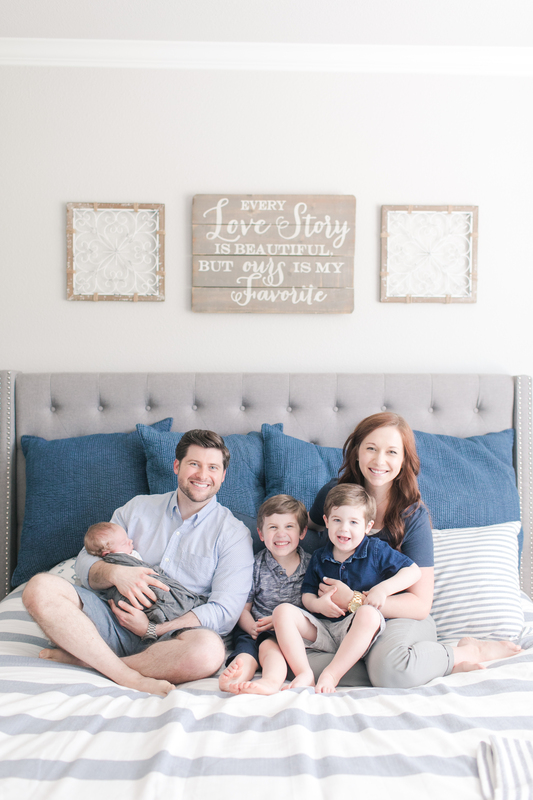 I am just a momma who has learned a lot from two pregnancies and one but almost two births and love to share with others what I have read about and used for myself that has helped! I have had a couple of friends asked me for advice on things to do to help your body get ready for birth or to encourage labor in the sense of getting your body headed in that direction, so I just thought I would make a post about some of the things I have done that seem to have been beneficial. 1. Take pictures! – Haha this was a no brainer, right?? We have tried to take pictures every week or every other week so we can watch the baby’s growth! I did a photo album for my first son and did a whole spread of each of the weeks, it was pretty cool! 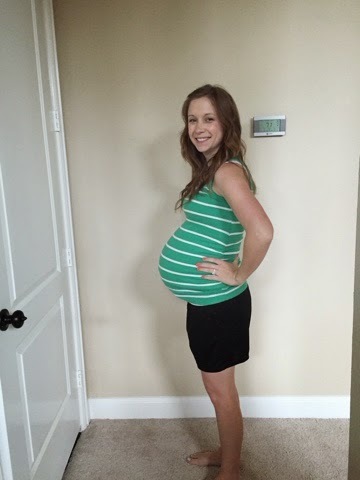 I have loved comparing those bump pics to my second son’s bump pics too! 2. 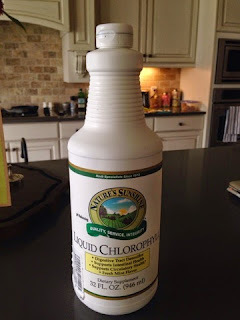 Drink Chlorophyll – I mentioned this in a previous post about gestational diabetes, because of the digestive and circulatroy benefits it can give you. My friend who is a birthing coach recommended it to me. It has helped my regulate my blood sugars, but it also can help your body with swelling. I have really been shocked at how little swelling I have had this pregnancy, and I think this is one reasons why! 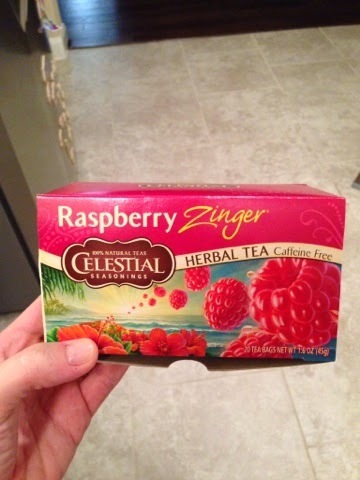 I got this from Amazon, and it has lasted a long time because you only drink 1 tsp in 8 oz. of water twice a day. It has a minty flavor and is actually refreshing! I drink this at breakfast and dinner. My doula also recommended this to me, as it helps with your immunity, postpartum healing because it strengthens body tissue. Chlorophyll’s molecular makeup is similar to that of a red blood cell except that the center of the atom is magnesium instead of iron. It has a lot of detoxifying effects in our body, binding metals that we don’t need and removing those, and protects us against a lot of different carcinogens. Obviously you can obtain chlorophyll from your food, by eating more dark green vegetables in your diet. 3. 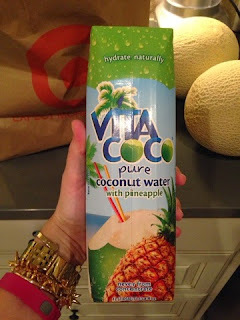 Coconut Water – This is great for hydration. Another reason you may have swelling is because you aren’t drinking enough water. Sounds backwards, right?? Same way that not consuming enough protein can be a cause for preeclampsia, which has a retention of too much protein in your blood. Coconut water is great to drink for daily hydration, but it is also good to sip on during labor for those same hydration purposes. I found this one at Target that also has pineapple in it, which has benefits of its own which I will cover in just a minute! Coconut water also has a lot of potassium in it, which is also good for you. I had some potassium deficiencies at the very beginning of my pregnancy and this fixed it really quickly!! Coconut water helps with immunity, tiredness and fatigue, and also kidney function and prevention of UTIs and possibly helps with blood pressure regulation as well. I also have read that this can help with morning sickness for some and constipation. Doesn’t pregnancy just sound wonderful haha?? Coconut water can also help with metabolism and detoxifying your system, controlling diabetes and also balancing your body’s pH levels. 4. Red Raspberry Tea – There are a lot of pregnancy teas you can drink to help your uterus prepare for birth but I have just been drinking plain red raspberry tea. I usually drink it once a day, and later in pregnancy 2-3 times a day. Another way to get in some good hydration! When taken during pregnancy, red raspberry leaf is said to aid the mother’s immune system, ease morning sickness and promote better circulation. Taking raspberry leaf is said to strengthen uterine muscles and tone the pelvic floor in preparation for childbirth, as well as assist with breastmilk supply. It supposedly also helps with reducing bleeding after giving birth, helps with relaxing the smooth muscles of the uterus when it is contracting and in birthing the placenta. 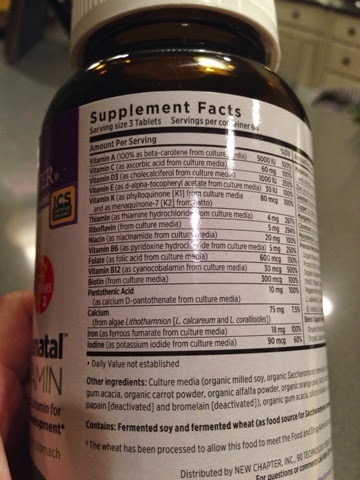 When reading about this online, I read that women who drank this regularly had shorter second stages of labor and reduced birthing interventions. One of the side effects is that it can increase Braxton hicks contractions, which is why it is advised to not drink a lot of it early on in your pregnancy. 5. 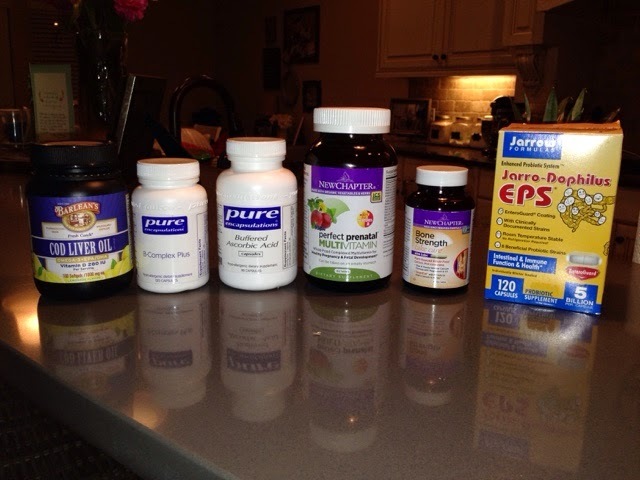 Supplements – I take a number of supplements… I do this on a regular basis even when I am not pregnant, so really when I am pregnant I just switch out my multivitamin to a prenatal. I try to eat healthy but I feel like I don’t get the proper nutrients that my body needs from my meals, especially being a mom and eating what is available at times or scarfing something, anything down just to keep up with my toddler! I get all of my supplements from Amazon and do subscribe and save. From my research and talking with my cousin who is a nutritionist, it is pointless to take supplements that aren’t good quality because your body can’t absorb them, so I generally try to get brands that are better quality for that reason. Cod Liver Oil – Helps with infant brain development, heart and joint development. See more about cod liver oil in this post. I have heard that some people switch to a different oil at the end of their pregnancy because cod liver oil can possibly cause your placenta to be sticky but I don’t know a lot about the recommendations for that. Calcium – I usually try to take a calcium supplement with also magnesium and Vitamin D to help with absorption. Helps protect bones and teeth, helps with muscle contractions and nerve health. I have read before that the baby will take what it needs from your body, so pregnancy can cause a calcium deficiency in our bodies, leaving us more susceptible to osteoporosis later in life. 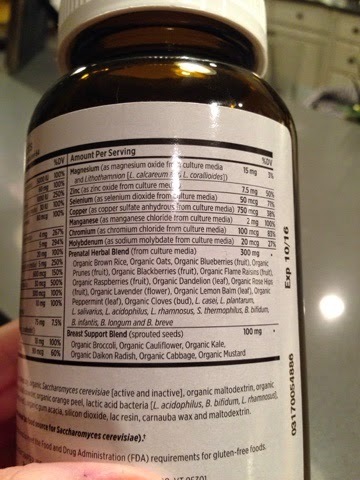 Probiotic – Helps with immunity and digestive health, as well as preventing Group B strep. 6. 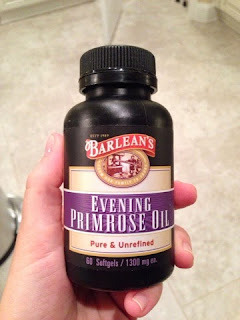 Evening Primrose Oil – This helps soften your cervix, good to start taking around 38-39 weeks of your pregnancy. I’ve also read that it is good for regulating blood pressure and shortening labor time, but I have read other controversial things about this as well. You may want to read up on it more before starting it. 7. 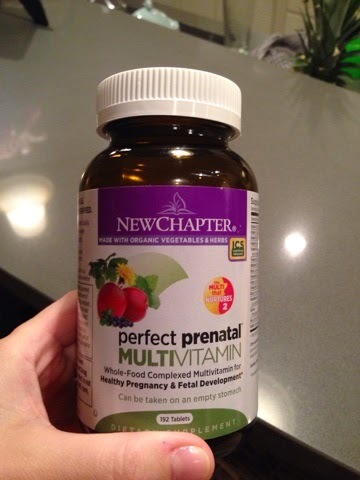 Prenatal Vitamin – I have loved taking this prenatal from New Chapter. It has folate in it instead of folic acid, and hasn’t upset my stomach like some I have taken in the past. Also recommended from my cousin’s wife who is a nutritionist. Subscribe and save on Amazon baby! 8. 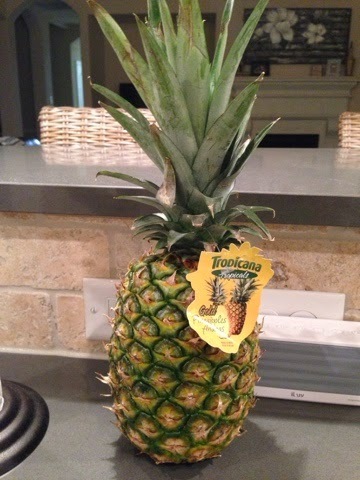 Pineapple – With my first son, during my third trimester, I was CRAVING pineapple and eating it constantly. I had no idea that this was actually a good thing to be doing anyway haha! My students at school actually started making fun of me about it… “there goes Mrs. Campbell, eating that pineapple again…” So I read up on it a little bit because I heard from someone (can’t remember who) that it was actually really good to consume during the third trimester. Here’s why… Not only is it good to help with digestion (you have so many digestive issues prego! ), it helps soften your cervix and ease labor. So it apparently was good that I was eating one a week by myself! Some other perks include immunity boast (it is high in vitamin C), helps maintain healthy heart and nerve function and bone health. I have also read lately that it helps with milk production and breastfeeding as well, reduces swelling and possible clogged ducts when your milk comes in and if you chose to wean later. So eat up mommas! And stick with the fresh pineapple, yes it’s kind of a pain to cut up, but it tastes better and the benefits listed apply the the fresh pineapple route rather than the canned. 10. Spinning Babies WebSite – Baby positioning is really important to prepare for labor, and there are a lot of things you can do to help encourage your baby to get into the right position! I had looked at this website some with Jackson, and my doula also recommended it again for Jude. I do think that crawling around more, laying on my left side as much as I could and other positions have helped Jude get LOA, or his back being on my left and head down. It is really important to make sure that you don’t recline as much as possible, that can encourage your baby to sit looking out instead of to your side or eventually looking in towards your spine. I read in the Bradley Method book that we have many more posterior babies (coming out face up) because we sit and recline much more than we used to. So anyway, just a good resource to loo at! 11. Prayer Cards, Meditation … be patient!– I have started making verse images on my Bible App to focus on during labor, and meditate on beforehand. I wish I would have done this more with Jackson. I think it is so truly important to draw yourself closer to our Lord before you go into labor… He has created your body for this act, don’t doubt what you body can do. Pray specifically for how you want your birth to go… don’t just ask for a healthy baby and delivery… ask for specifics, for your doctor to be present, what time do you want to labor, for you to have opportunity to rest, to have a vaginal delivery, for the timing to work out, for your labor to be quick, to be able to withstand the pain and relax your body and embrace the contractions… the list could go on. There are tons of other people’s blogs that have good verse recommendations for labor, just google it! Here is one I found that I used and liked. But be patient with your body, and wait. I told my husband that I feel like you have to get completely miserable and absolutely uncomfortable and then your baby will make its appearance hehe. 12. 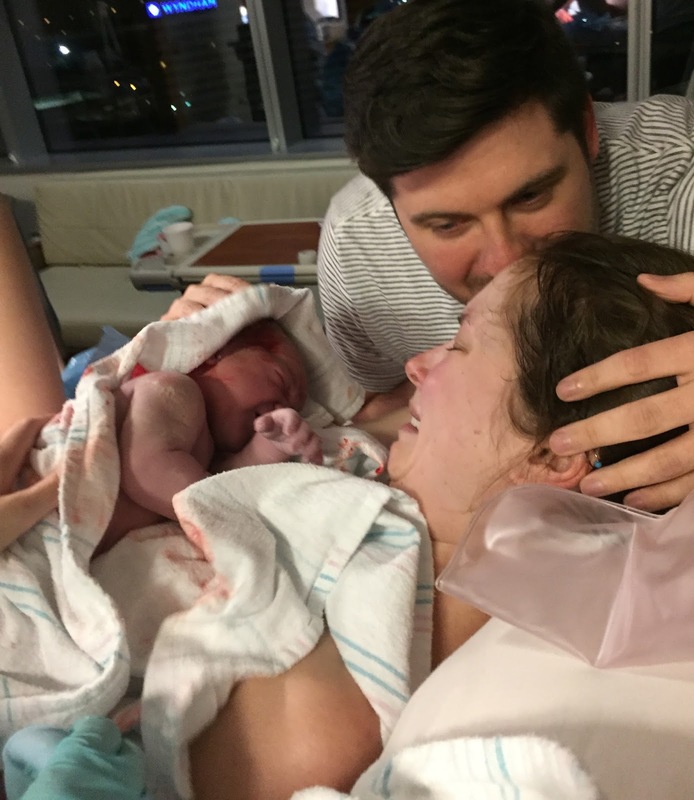 Read other Birthing Stories – I ended up having to have a c-section with my first son, mainly from complications from my epidural, and then he was face up and not coming out at the end… so for this pregnancy my husband and I are hoping for a VBAC. Let me tell you, this was probably the hardest decision we have made together. Mainly because a lot of people (including my old doctor) made us feel like we were risking the life of our baby and being selfish, even though a vaginal birth is a better option for mom and baby. This was a hard decision, but one of the things that has helped me a lot is reading other people’s birth stories and just talking to other people about their VBACs. I have been amazed, shocked even, at how many people around me have had VBACs, and I firmly believe that we are in good hands with my doula and doctor and that our Lord will watch over us during our birth. 13. Rest – Be careful how you sit and lounge! It is best to lay on your left side as often as you can. This helps baby slide to our left side and is also good for digestion and to reduce swelling. Also try to sit up straight and not lounge as much. Rest is so important though when you are counting down the days to labor. I really should be telling myself this over and over because I am the queen of not resting and feeling compelled to do as much as possible during the day. But my doula has reminded me that one of the biggest reasons that people get epidurals is because they are worn out and tired during labor. So rest up, drink water and eat good food! 14. Activity – Exercise is important, walk and do some yoga! Stretch those muscles and keep yourself in good shape! You will be thankful you did so after you have your baby too and have less weight to lose! 15. Stay Hydrated, Be selective with food – I keep saying that it is important to drink water, but it really is… not being hydrated can cause braxton hicks contractions more often and often can be the reason for contractions in the beginning but not real labor. Also during your third trimester, I would just recommend being careful with your carbs and sugar intake. And trust me, I am the queen of dessert and obsessed with muffins and scones… for real I crave them like crazy, it’s horrible. But having gestational diabetes has MADE me be more disciplined, and I am not perfect, but my weight gain has been so much better this time around and I have felt better over all. So as hard as it is, have a little restraint hehe! 16. Chiropractor – I have gone to a chiropractor for both of my pregnancies. Not only has this helped with back and hip pain, it also helps to keep your pelvis aligned so that the baby can rotate and get into the correct position for birth. 17. Alfalfa – Take an alfalfa supplement. This is something I did not do and regretted it! 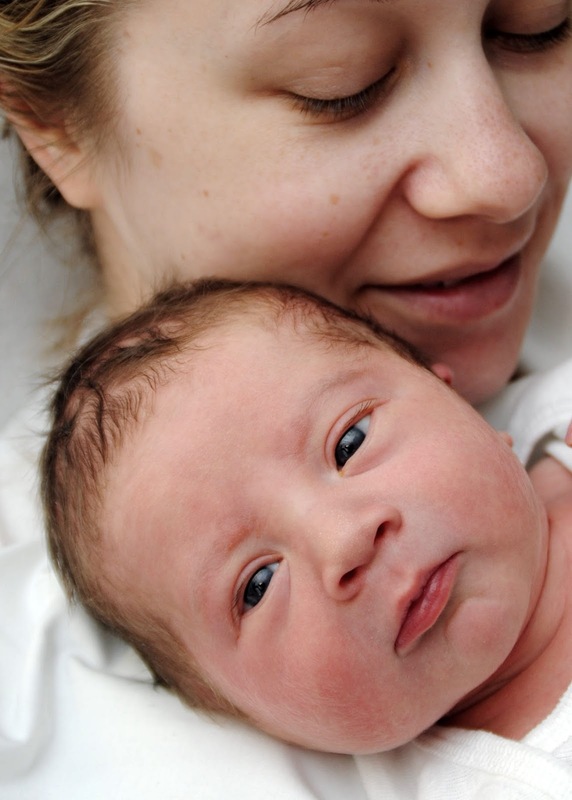 Alfalfa helps control bleeding after you give birth. I had major post partum hemorrhaging from my uterus not being able to clamp down (big baby and lots of fluid) and lost a lot of blood. I had to have two blood transfusions over the next few days to get my hemoglobin levels up. My doula had recommended to take this but for whatever reason I never “got around” to ordering some and adding to to my diet. Definitely will if there is a next time, trust me on that! 18. Doula – I saved this one for last because it has been one of the most important things we could have done. 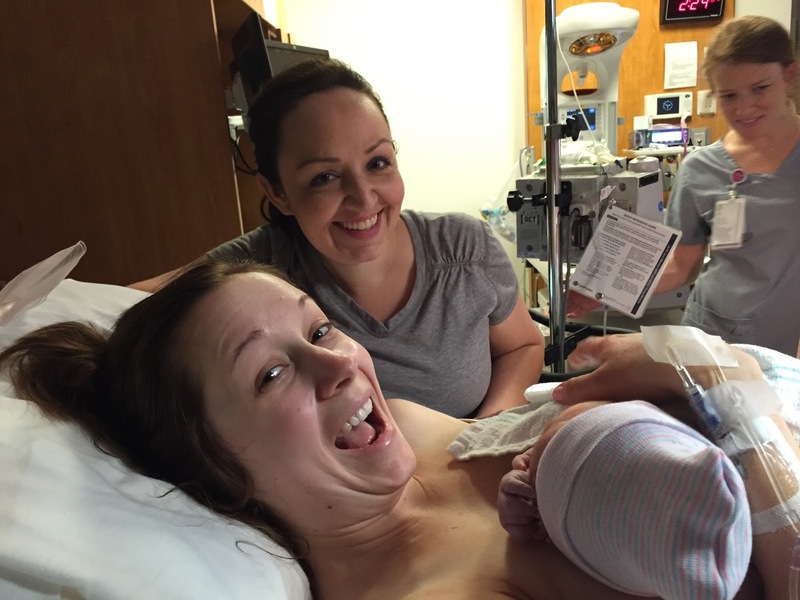 We hired a doula for this birth. Yes, it is money, but if I could go back and do anything differently for my first birth, I would have hired a doula. She has been a wealth of knowledge, and confidant, and she will be here with us while we labor at home and help us decide when to go to the hospital. She will be at the hospital with us, to help us make decisions and be an advocate for us. She has so so so much experience and has seen things go well and go wrong, she has had a VBAC herself… I just can’t express how much that means to us, who are nervous about doing this ourselves, she is the best decision we have ever made. She has helped me with nutrition, birth knowledge and things we can do to get ready for labor. She will be there with us after the baby is born and help with breastfeeding. She will come to our house later to check up on us and provide post partum support. The list goes on and on. And if you research the benefits of having a doula online, you will see that statistically, people have shorter labors and less intervention, and more successful births when they have a doula present with them. Worth it. There is SO much you can do, and this could go on and on… and on… but these are the things that I have focused on and they have seemed to help me. You can take parts of it and do what you feel comfortable with. My advice would be to do what you can and be content with that. You can never do everything and never control everything, as much as you try to prepare, you still have to trust your body and go with what happens. Trust yourself, trust your hubbie, hire a doula and pray. Pray a lot, because really that should have been my number one hehe! You will do great, you can take positives from any birthing experience, even though it make take time to do so. I wasn’t able to say that I was thankful for the way Jackson’s birth went until just a couple of months ago because I knew I needed to find peace with his birth before I have Jude. Good luck with your pregnancy, good luck with your birth and may you have a wonderful beginning with your new little one! Welcome to my little corner of thoughts, from a former science teacher who loves God first, loves cooking, music, traveling, gardening, drinking coffee and eating muffins! I am obsessed with reading National Geographic magazine and am a wife to an awesome hubbie, and blessed mommy to my three sweet boys and overly affectionate labradoodle. Hope you enjoy! Last day of our trip was beautiful, I’m obsessed with waterfalls so when my mom mentioned coming here today I said umm yes please! Picnic in the cold topped off with some snow as we were leaving. So many sweet memories made today. ❤️ Prayers for safe and smooth travels home tomorrow would be appreciated!